The Most Comprehensive WordPress Step-By-Step Training System Online! WordPress is a powerful and extremely easy-to-use tool for managing and publishing your content online. WordPress can also become your online vehicle to success ... if you just learn how to drive it! 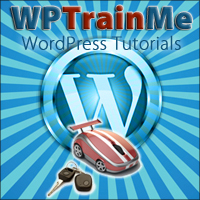 WPTrainMe can put you in the driver's seat and give you the keys that will help you unlock the full power of WordPress! Everything you need to know to succeed with WordPress and be in complete control of your online presence is covered in the WPTrainMe tutorials. We are committed to providing you with the most comprehensive, well-organized, up-to-date and easy-to-follow WordPress step-by-step training system available anywhere, and to help you master WordPress faster! Follow these tutorials, apply what you learn, enjoy the ride, and in no time at all you will be driving your own WordPress-powered vehicle to any destination you choose! WordPress is constantly evolving, so make sure that you get on our update list and remain subscribed to receive important training information and updates! Download The WPTrainMe WordPress Training Plugin. Important news and updates for WPTrainMe users. Useful facts and information about WordPress. 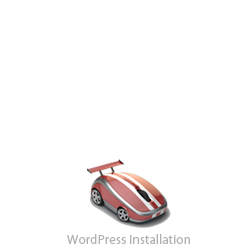 Learn how to install WordPress. Learn how to set up and configure a WordPress site. Learn how to use WordPress. Learn how to expand WordPress functionality using plugins. Learn how to customize your WordPress site. Learn how to manage your WordPress site. Learn how to optimize your WordPress site. Learn how to keep your WordPress site secure. Learn how to grow your presence online using WordPress. Access all the tutorials you need to master WordPress faster from this page ... see the WordPress Training Modules section! Enter your details below to receive important updates and information! DISCLAIMER: WordPress® and its related trademarks are registered trademarks of Automattic, Inc. WPTrainMe.com is not affiliated with nor sponsored by Automattic, Inc. or the WordPress Open Source project. WPTrainMe.com offers a tutorial service for WordPress service providers dedicated to teaching people how to use WordPress. This site and the products and services offered on this site are not associated, affiliated, endorsed, or sponsored by WordPress, nor have they been reviewed, tested, or certified by WordPress. The owner, contributors and/or advertisers may derive financial benefit from sales of items advertised, reviewed or linked to from this site. Copyright 2013 - 2017 WPTrainMe.com All Rights Reserved.